The Smoking Shoe is our hat-tip to the past. We've combined the vintage look of a leather smoking slipper with the superior comfort of a soft leather-lined, cushioned interior. 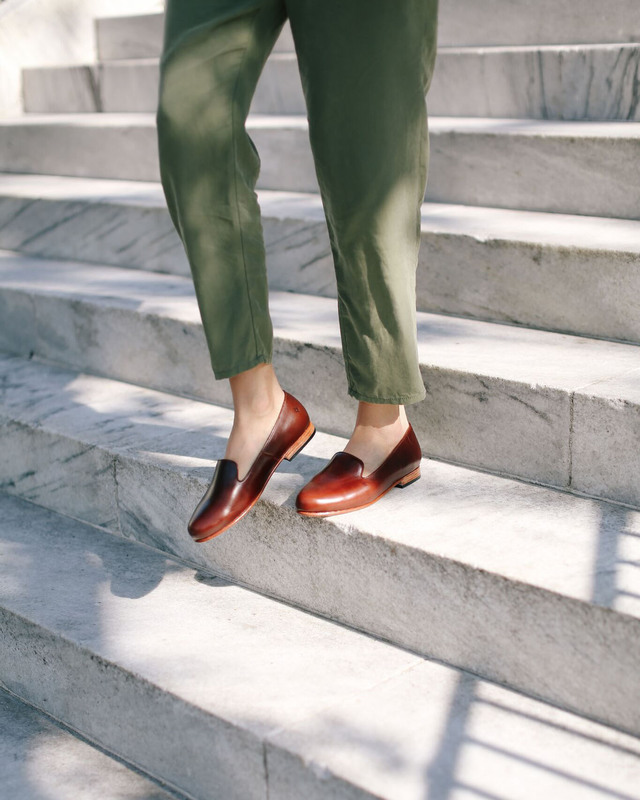 The Smoking Shoe's comfort and minimalist design adds a touch of classic to any outfit. Fits true to size. 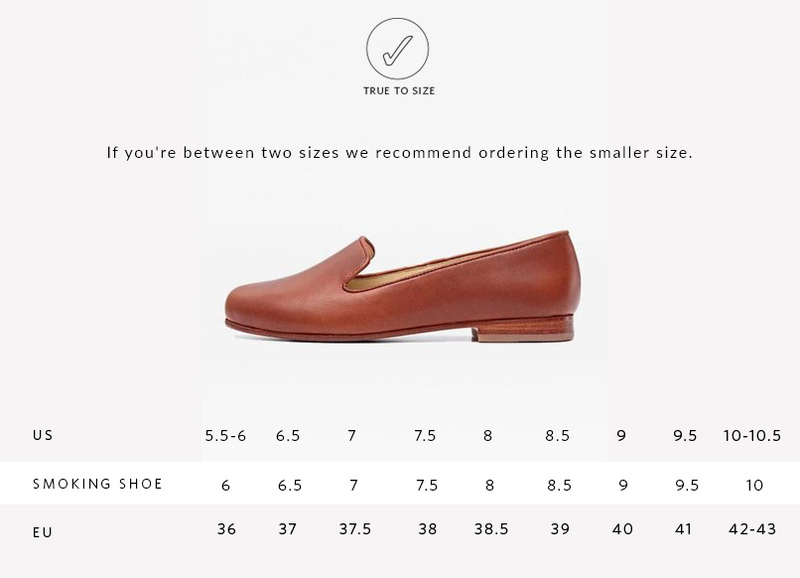 If you're between two sizes we recommend ordering the smaller size. They may be a little snug in the width initially but will begin to stretch and mold to your feet within the first few wears. The heel might also feel rigid at first but after wear, the all leather shoe will soften up and turn into your favorite everyday shoe!